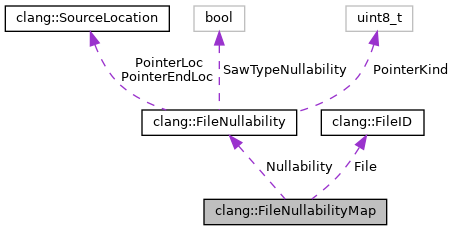 A mapping from file IDs to a record of whether we've seen nullability information in that file. Definition at line 249 of file Sema.h. Definition at line 260 of file Sema.h. Definition at line 255 of file Sema.h. Definition at line 256 of file Sema.h.